T.O. DeVilbiss Mfg. Co., Inc.
T.O. DeVilbiss Mfg. 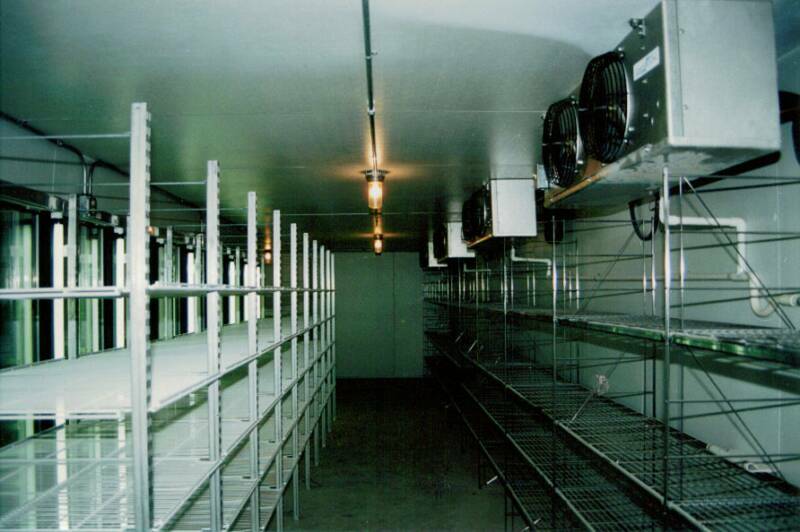 Co., Inc. is a "CUSTOM" builder of walk-in coolers and freezers. 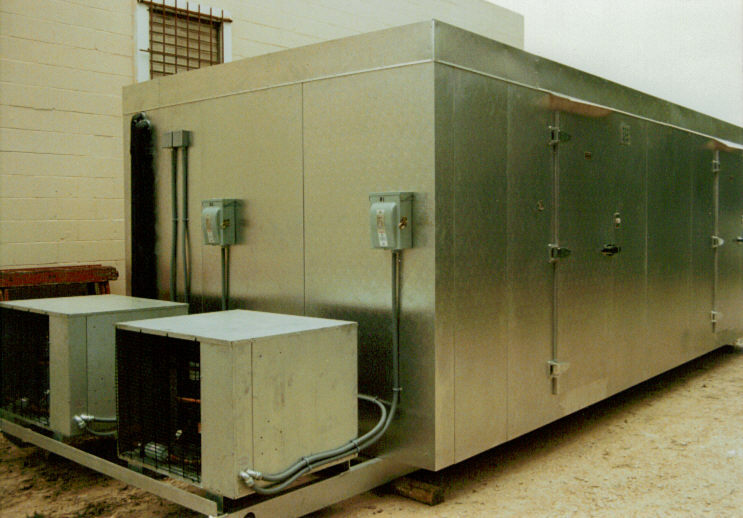 When you order an 8 x 10 x 8 walk-in cooler from us, you get a full 8'0" x 10'0" x 8'0" cooler. We can build to exacting dimensions to the 1/4". Any angle, almost any shape. No job too large to complete or too small to appreciate. 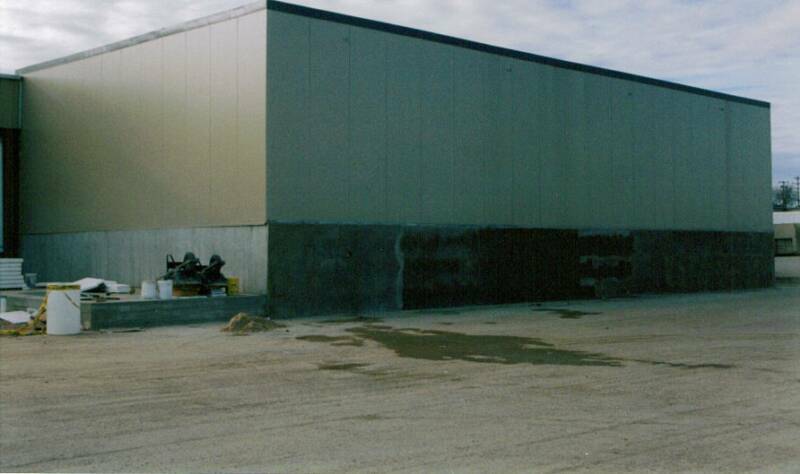 We are now in our third generation of walk-in cooler/freezer manufacturing. 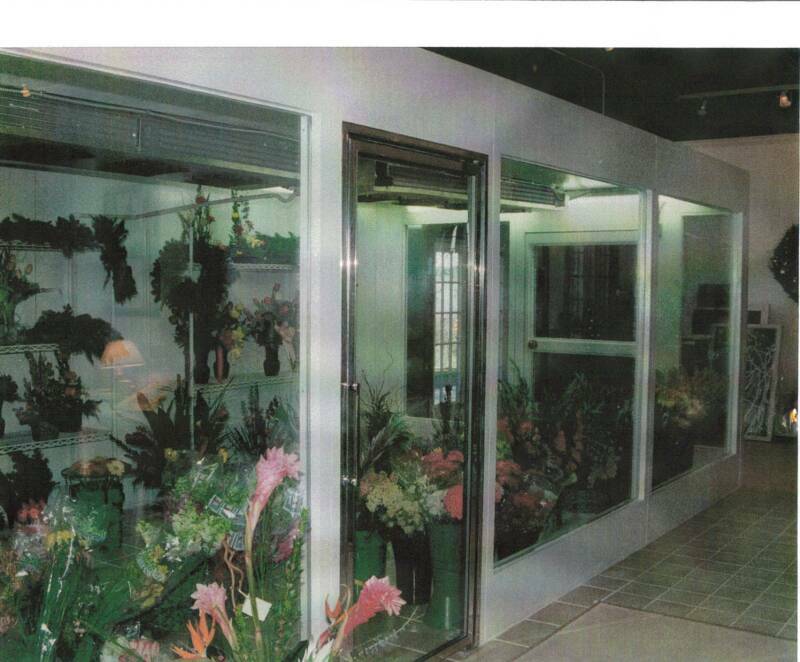 We have been in the business since 1958. 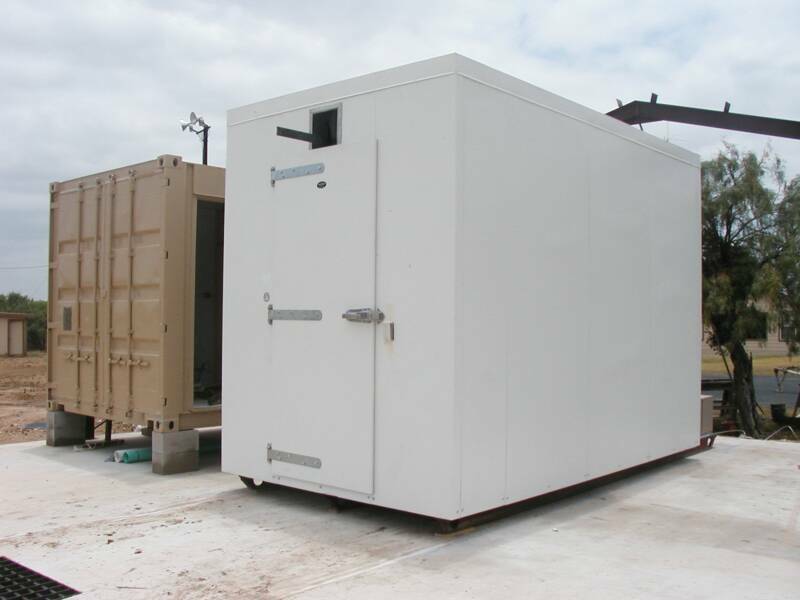 We also manufacture replacement cooler/freezer doors and frames, manual close or self-closing magnetic. We carry a full line of replacement hardware, gaskets, and accessories to repair and get your existing walk-ins back in tip-top shape. Please visit the rest of our web-site for more pics, specifications and history. Thank you. 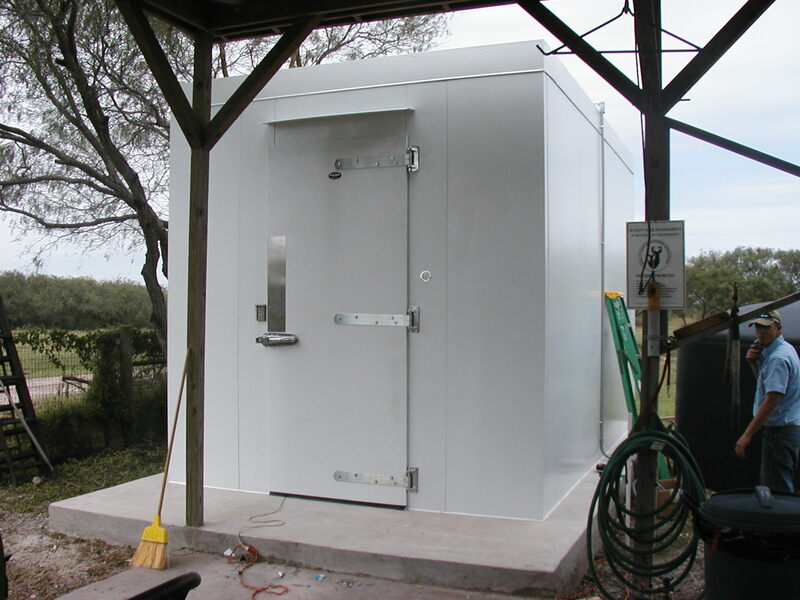 Convenience store walk-in cooler. Angled front. 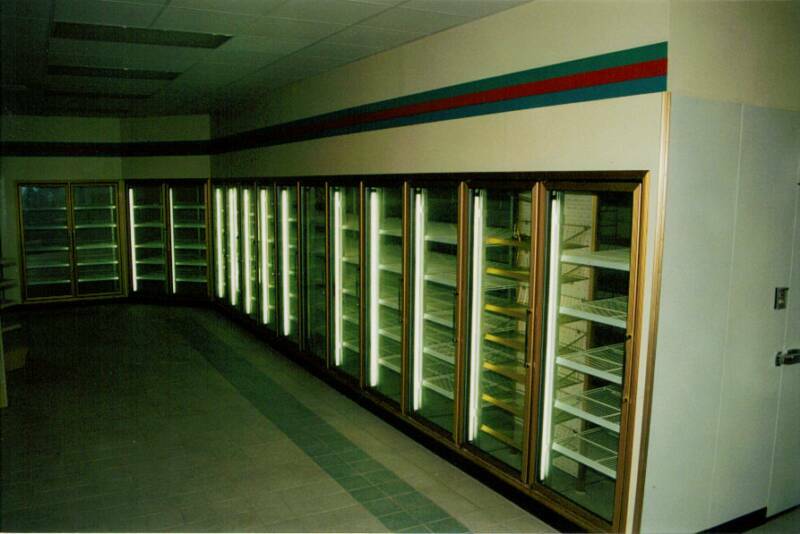 Inside of convenience store walk-in cooler. 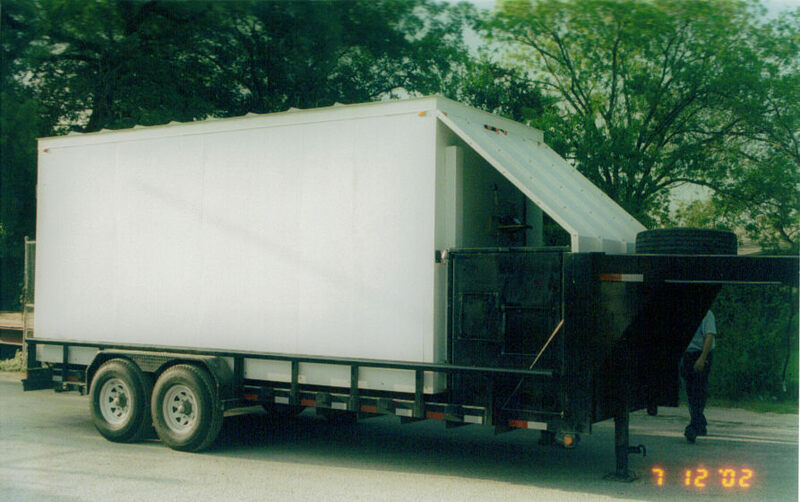 Refrigeration performed by DeVilbiss Installation Co., Inc.
Trailer mounted walk-in cooler with refrigeration and over the road generator. 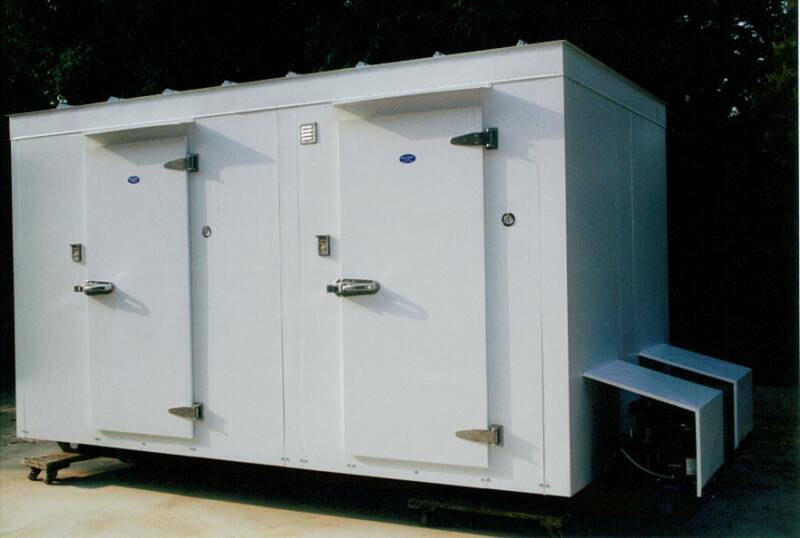 All trailers and generators are customer supplied. 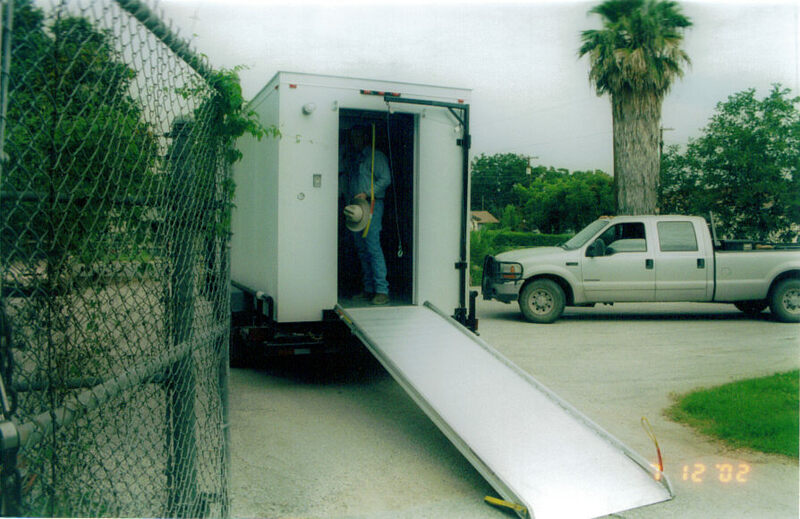 Same trailer mounted walk-in cooler with over-head door and pull out ramp. 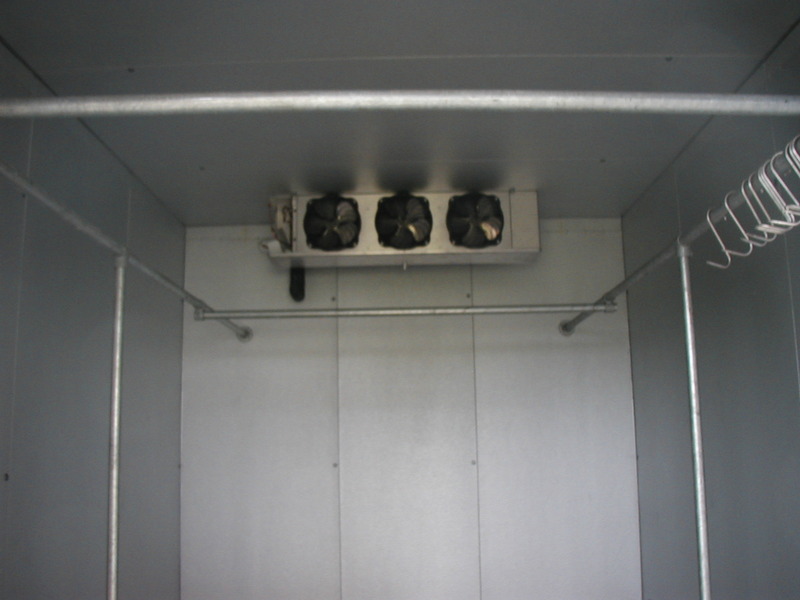 2 compartment freezer, 1-pc., all refrigeration and electrical complete to disconnects. 1 pc. deer cooler w/meat rail system for customer connect. All refrigeration and electrical done to disconnect. 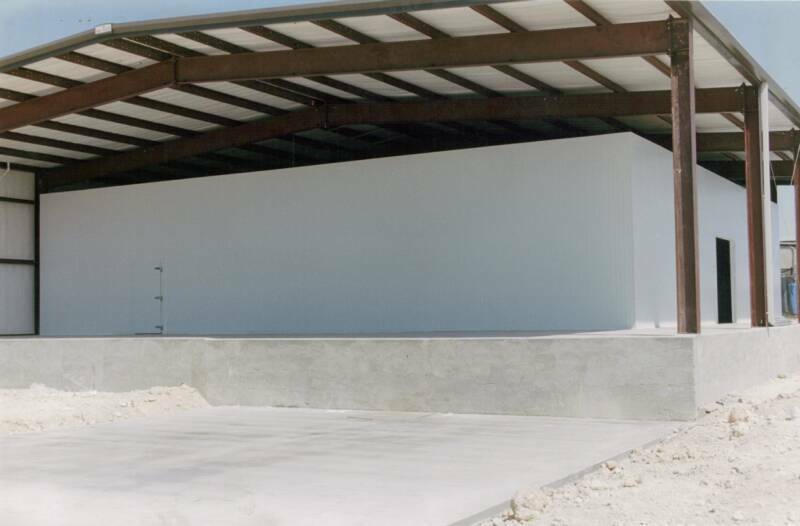 Zachry Ranch.